If someone were to tell you they could prepare a delicious meal using only the power of the sun in 20 minutes, would you believe them? Before GoSun, the answer would most likely be no. Now, the answer is yes! We had an inspiring opportunity to talk with Patrick Sherwin who is the founder of an amazing new solar powered line of appliances at GoSun Stove. Their first product introduced as the GoSun Sport, was launched in 2013 as the first portable and practical solar cooker. It has the abilities to cook meals in as fast as 20 minutes and reach temperatures up to 550°F/ 290°C. People all around the world raved about this genius sun soaking invention, but some were looking for something bigger and better. Without hesitation, the people at GoSun listened and delivered. 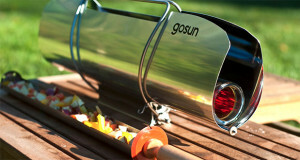 Enter the GoSun Grill, a new and improved design that can cook food anytime – day or night. 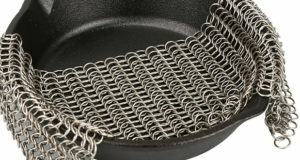 This thing can bake, boil or fry virtually any style dish one may desire due to it’s 360 heating process, leaving food packed with moisture and nutrients. It even has a breakthrough technology allowing it to capture solar power before rain, night, and clouds. So, even when the sun don’t shine, GoSun is there to brighten your day. Feeding up to 8 hungry stomachs, the GoSun Grill can go where other grills can’t, not only in functionality, but through world change. The people at GoSun have started a movement that empowers communities around the world with access to clean, safe, and cost effective cooking capabilities. 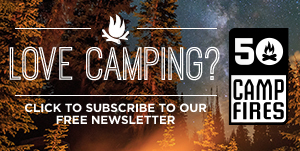 No more mess, fire hazards, and no more propane. Just amazing food whenever and wherever you may need. 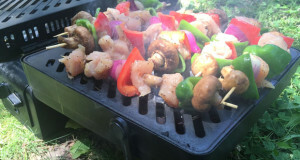 If that’s what grilling in the sun is about..then say no more, we’re in! People Love Their Backyard Grills, So Why Cook With The Sun? If you like to save money, eat delicious food and not be confined to your backyard deck to grill, then cooking with the sun is perfect for you. Cooking with the sun requires NO fuel, so you save money and you save the environment at the same time. 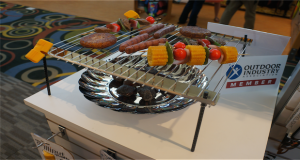 Solar grills also make cooking easier and cleaner because you don’t have to mess around with flames, soot, and dangers from flammable subtances. They are safe and cool to the touch while your food is mustering up all that steamy goodness inside. To cook with the sun, all it takes is for you to deploy your grill, load up a healthy meal, go about other things and let the sun do the work. You mean I don’t have to stand around to monitor and make sure my food doesn’t burn? Nope. 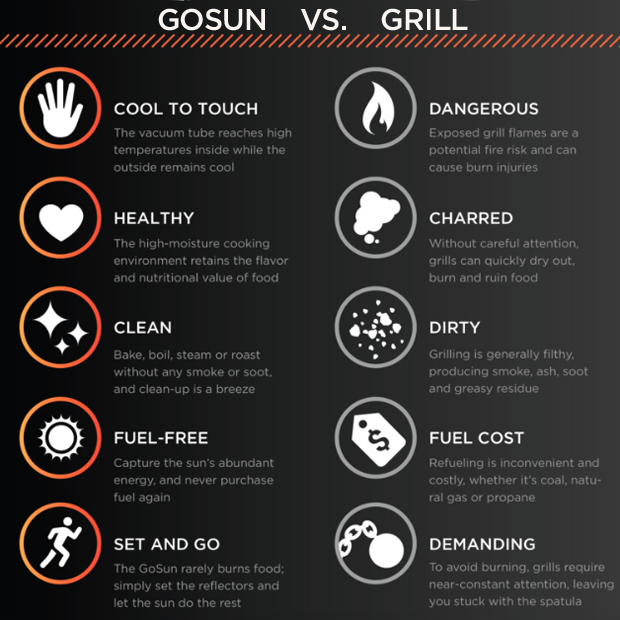 GoSun effectively captures light from a broad range of angles, so it doesn’t require frequent readjustment, making it the lowest maintenance fuel free cooking device yet. Your meal will be done when you return in as little as 20 minutes. Cooking with the sun also allows for a hope to ignite a fuel-free frontier in benefitting those all around the world with just a touch of sun. 1. If it turns cloudy, won’t my food stop cooking? Nope. 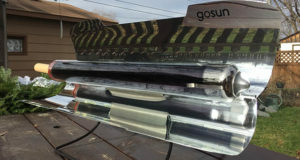 GoSun is a miracle of science with its evacuated glass tube Cooking Technology and it’s near perfect insulator that allows one to solar cook in even the most challenging conditions. Their patent pending phase change Thermal Battery2 allows the GoSun to capture heat before rain, night, and clouds! No way! Patrick Sherwin at GoSun says this is one of the biggest misconceptions about cooking with solar power. That, and many are also to the assumption that solar cookers are too bulky, dangerous and slow. This is far from the truth with the GoSun products. These sun soaking, delicious food making grills can keep up with your fuel-based grill without a doubt. 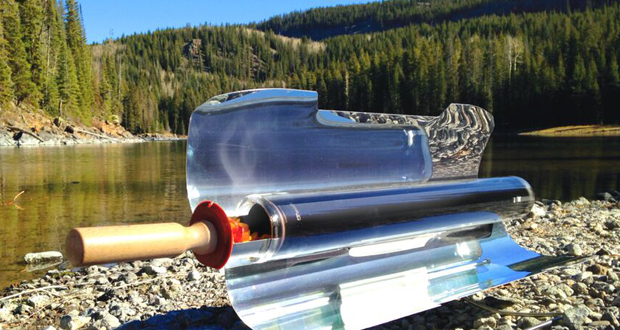 They are reliable, portable and fast, so all that nonsense about solar cooking being a hassle ends with GoSun. 3. My food will be so dry! No! 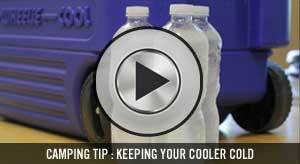 You don’t have to worry about your food drying out. 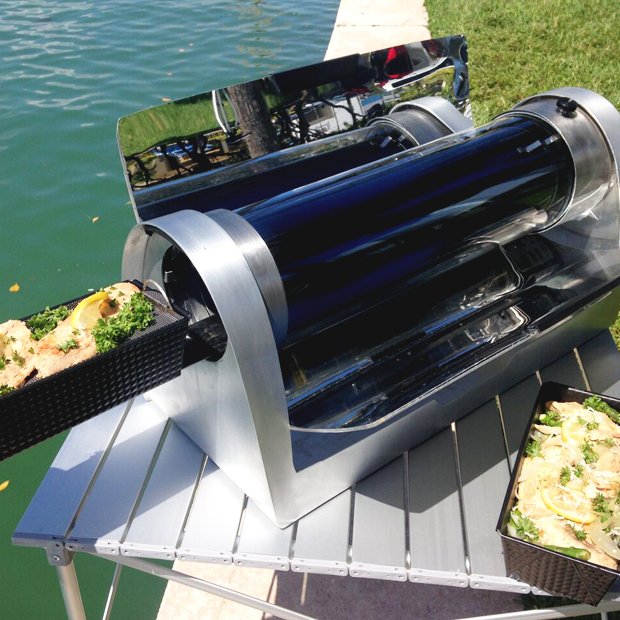 Despite cooking in direct sunlight, solar ovens will retain moisture — your food will come out moist and delicious, whether it has cooked for 20 minutes or 2 hours. Still not convinced grilling with the sun is way cool? Maybe this will help! Patrick Sherwin has sunk his teeth into everything solar for the past 15 years, but struggled to find a simple and durable cooking solution. They had to figure out a way to utilize a vacuum tube to work effectively in all weather conditions (with sun) so they went deep in their R&D efforts to develop a larger tube that still maintained a portable, durable package. With incredible efforts and solar ingenuity they came up with the GoSun Sport and their new GoSun Grill that solved all those challenges. 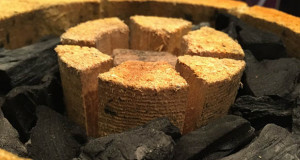 Their discoveries for the new Thermal Battery Technology introduced into the GoSun Grill, were made while they were in Guatemala during the rainy season on a Pilot Study with the Global Alliance for Clean Cookstoves. They had to figure out how to make a meal during the daily deluge of rain starting about 2:00PM…and they did it. GoSun still has a pretty small team, and they are under a lot of pressure to deliver exceptional products and customer service. Patrick says they are focusing on internal capacity building. 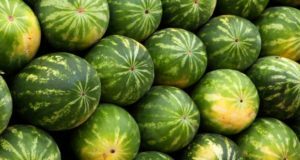 They have attracted an Angel Investor this winter and are going to raise capital in a Series A financing this fall. Then, they will run off with all the money to launch their Social Enterprise in the developing world and serve those in need. 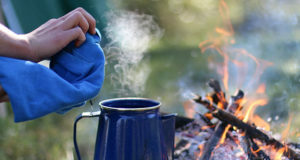 “There are 2.5 billion still cooking over wood and charcoal daily…. there’s got to be a little business for GoSun there too.” said Patrick. 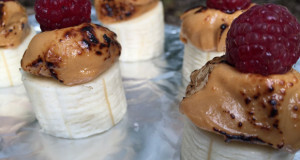 If you don’t love the idea of grilling in the sun yet, here are a couple of our favorite solar cooked recipes to change your mind! Next: Can I Really Get All My Vitamin D From The Sun?